Suwanee, John’s Creek, Duluth, Alpharetta, Lawrenceville, and more of Georgia! Adult and Children’s Guitar Lessons for Suwanee, John’s Creek, Duluth, and more of Georgia! Home | Messages | Adult and Children’s Guitar Lessons for Suwanee, John’s Creek, Duluth, and more of Georgia! 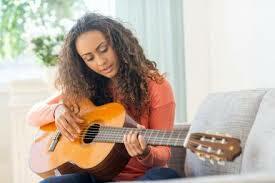 You have taken the first step toward discovering the enjoyable and rewarding world of playing guitar. We offer adult and children’s guitar lessons for Suwanee, John’s Creek, Duluth, and beyond in Georgia! It’s easier than you think. Anyone can learn it. All you need is the desire. First Class does the rest! Why students choose to take lessons with First Class! With First Class Guitar Lessons you will not only learn WHAT to do, but the HOW and the WHY as well. The HOW enables the learner to use time productively, with no wasted effort. The WHY shows the reasons and allows reaching clearly defined goals, directly applying what is learned to playing actual songs. 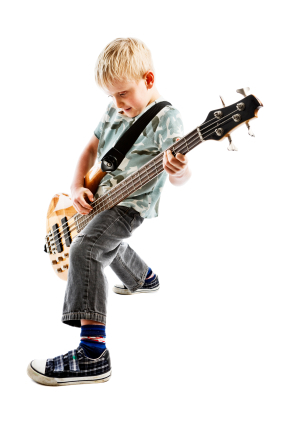 Guitar Lessons for all ages and stages! Whether you are new to guitar, have tried learning guitar with mixed results or want to boost your current skills, First Class Guitar Lessons will help make it happen. Using my easy to understand methods for children and teens (my specialty), as well as adults, success is assured. Learn anything from strumming your favorite songs to various style techniques. Play for family and friends and have a great time getting together with other players! If you can imagine it, you can do it with First Class Guitar Lessons! Check out Jon’s Youtube channel here! An initial meeting is scheduled at no charge to any new student to discover their interests, determine the course of instruction and answer any questions. Lessons are available to anyone age 6 and up. Instruction for beginners on ukulele, mandolin, trumpet and flute is offered as well. Call Jon at 770-780-4492 for more information and current lesson specials! 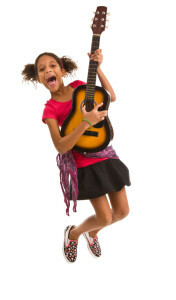 First Class Guitar Lessons serves children and adults in the following areas in Georgia: Alpharetta, Duluth, John’s Creek, Lawrenceville, Midtown Atlanta, Norcross, Suwanee. Don’t see your area listed? First Class Guitar Lessons offers Skype lessons to anyone in any area. Check out Jon's Youtube channel here! “I've been taking lessons from Jon for years now, and have learned much about how to play the guitar, music history, music theory, the instrument itself, and more. His extensive knowledge of guitar paired with his student guided lesson approach allows me to choose what I want to learn without being confined to a certain genre. Overall, I am very satisfied with First Class Guitar Lessons.” -Kali H.
“Jon is a true professional. Each lesson is structured for my individual goals. With his systematic approach, each lesson is a productive learning experience. Follow his instruction and you will learn to play well.” -George C.